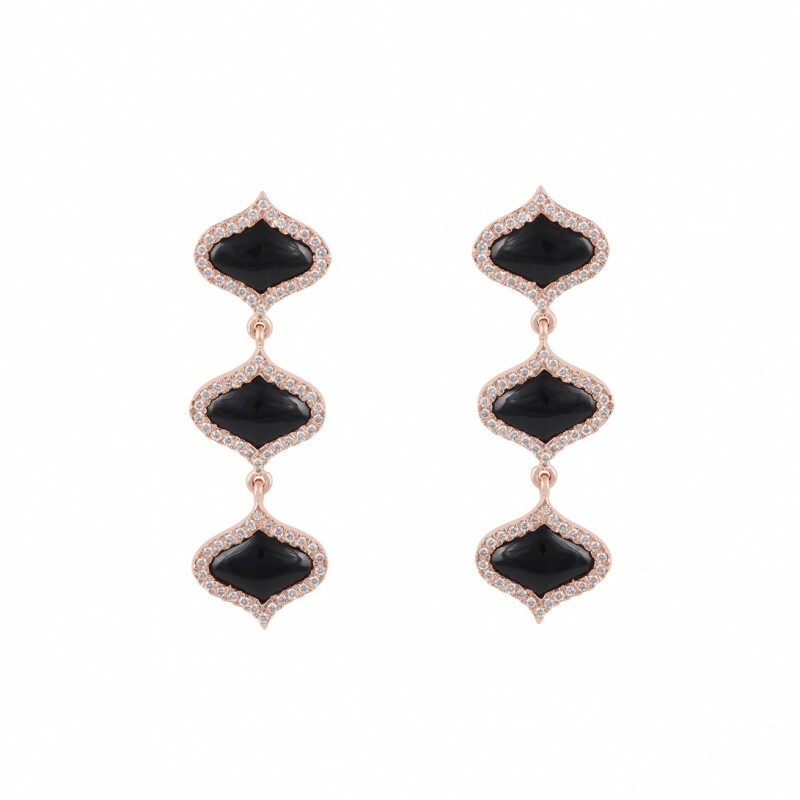 The Lattice Earrings in Onyx are beautiful pair of drop pendant earrings in 18 Karat Rose Gold, set with Diamonds and Lapis Lazuli. Part of the Lattice Collection by Gyan Jewels, these pieces are inspired by an ancient window in the Gyan Museum’s collection, which is emblematic of the deep history and culture of the pink city of Jaipur. The ornamental patterns of the window are reintroduced with contemporary confidence, reflected in a spectrum of Rubies, Lapis Lazuli, Onyx. Gyan Jewels is a collection of exquisite fine jewelry pieces created by the Dhadda Family. This unique collection celebrates the magnificent collection of artefacts and historic cultural pieces collected by Founder – Collector and Gemologist, Gyan Chand Dhaddha.